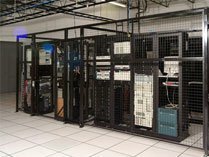 KnownHost is proud to offer customers hosting in one of the largest colocation facilities in Dallas, Texas, Colo4Dallas (www.colo4dallas.com). Our diverse and powerful network featuring providers such as Level 3, Internap, AboveNet, and TW Telecom provides our customers with optimum speed and reliability. We offer high speed connectivity from multiple carriers and clean IP addresses in a true carrier neutral environment. 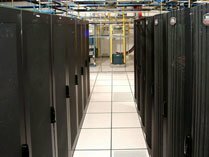 We have 4 world-class datacenters to choose from. 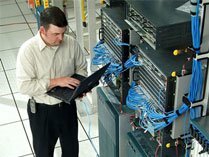 Since 2000, businesses in North Texas, across the U.S., and around the globe have relied on TierPoint Dallas to connect and protect their most critical IT assets. 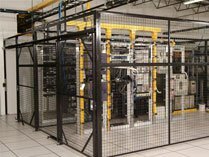 With 68,000 square feet of environmentally controlled, secure data center space, TierPoint's Dallas facility offers true 2N power and multi-homed connectivity from leading Tier 1 carriers. KnownHost offers customers one of the most superior network infrastructures in the Western United States. This powerful network features a BGP blended bandwidth solution that consists of multiple Tier 1 providers including Level 3, NTT, and TATA Communications, as well as Tier 2 networks such as Specture Networks and the Seattle Internet Exchange. 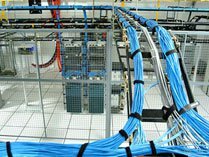 The Seattle Internet Exchange (SIX) providers more peering options and sometimes direct peering to a number of large networks located in the region including well-known brands such as Microsoft, Google, Amazon.com, Yahoo, Inc. and many more. 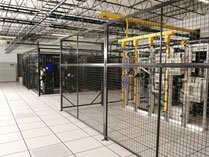 KnownHost's East Coast Datacenter utilizes Maryland's largest carrier-neutral data center and is the only data infrastructure business of its kind in Baltimore. This network consists of a BGP mix including Level 3, Time Warner, Zayo, and Comcast. 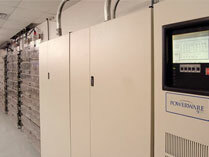 Supported by a state-of-the-art, 30,000 square foot facility, TierPoint Baltimore is dedicated to providing superior data center services through premier engineering design, in house technical expertise and a proven ability to deliver a safe and secure data environment for all IT needs. KnownHost's European datacenter located in Amsterdam with direct access to one of the largest internet exchanges in the world, AMS-IX provides unparalleled access for the European hosting market. This network consists of a BGP mix including NTT, Telia, Tiscali, Cogent & Global Crossing. 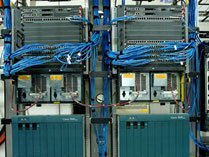 Supported by a state-of-the-art 7 facility campus, Interxion (pronounced "interaction") Amsterdam offers unparalleled reliability, security, resilience, efficiency, expansion and support.